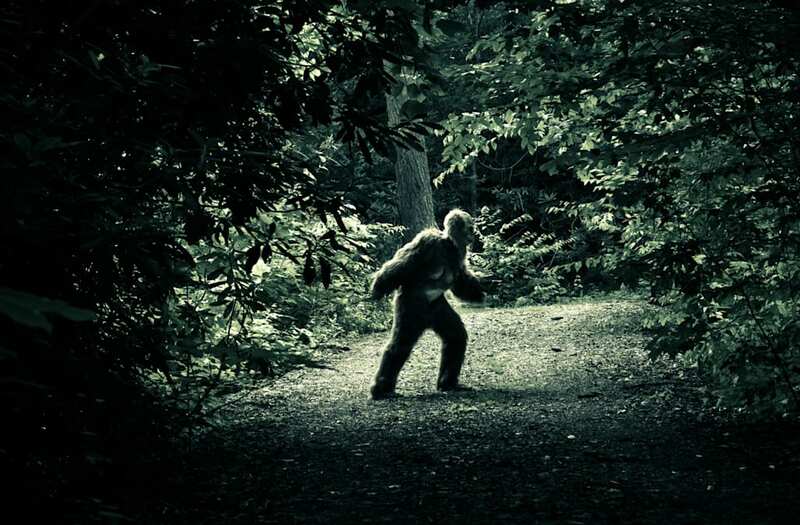 A North Carolina Bigfoot spotting group claims its members came face-to-face with the mythical beast in McDowell County on August 4. John Bruner shared his encounter in the Facebook group for the organization "Bigfoot 911," a "small but dedicated group of investigators" who look into reported Bigfoot sightings in Western North Carolina. Bruner says he and a team of seven people were investigating a report at around 11 p.m., scattering glow sticks in the woods (the group believes glow sticks pique Bigfoot's curiosity) when they observed one of the glow sticks moving, according to the News & Observer. "I turned on my headlamp and saw a large bi-pedal animal covered in hair," Bruner wrote on Facebook. "It's face was solid black no hair on it, the hair looked shaggy all over." Upon spotting the humans, the hairy, two-legged creature quickly took off, but Bruner says he ran after it. When he caught up to the alleged Bigfoot, Bruner says he and the beast had a brief stare-down. "I knew it was my chance to see it up close," he said. "I didn't appear aggressive. We had eye contact for 5 to 10 seconds." Eventually, Bruner claims the animal disappeared into the night, allegedly throwing rocks at the investigators as it fled.